THE VEGA SKY CENTER CELEBRATES OUR 45TH ANNIVERSARY 08/16/2015 !!! 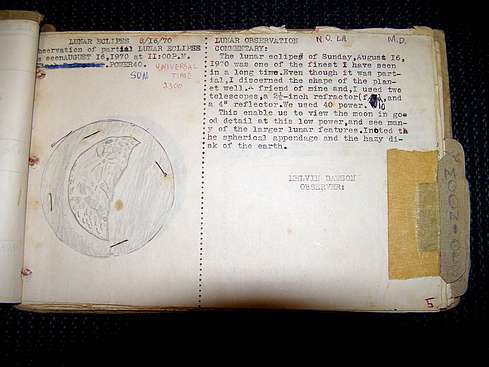 To commemorate the pinnacle of reaching 45 years within the realm of amateur astronomy and the astronomical community, we are posting images of the observations that started it all. It is our first recorded observation of the August 16, 1970 Partial Lunar Eclipse as captured by Gary Barabino (left) and me, Mel Dawson (right) as founder and co-founder of the Vega Astronomical Observatory. In 1975, the name was changed to Vega Sky Center. Also on this auspicious day (08/16/2015), to magnify the importance reaching this point in out existence, I have posted the construction overview of the Jaegers 6" f/10 "Gelinda J. Dawson" refractor. Gary and I look forward to many more years of growth, in an effort the aid and inspire others to pursue this great pastime. So please celebrate with us as we hope and pray we will be blessed to see another 45 years of enjoying the heavens. 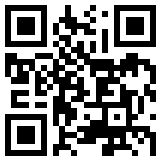 VSC Homepage QR Barcode Stamp - Scan with your Barcode App on your SmartPhone and add it to your favorites !!! Hello Fellow Stargazers, and Welcome to the Astronomical WebHub of the Vega Sky Center. We are currently in our 13th year in existence on the web! We are amateur astronomers with small private observatories residing in Slidell, LA (formerly in New Orleans, LA), and Riverview, FL. 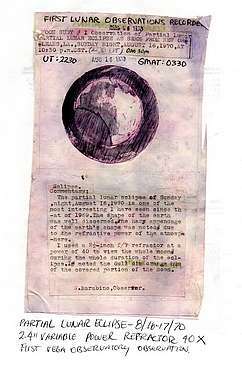 My name is Mel Dawson, and I begun my association with Astronomy back in July 1970 when I experienced my first telescopic view of the moon through a Selsi 60mm variable powered refractor, owned by Gary Barabino, a new comer to the Desire Housing Project, in the ninth ward section of New Orleans, LA. Needless to say, that first look pulled me in like the gravitational affect of a black hole. I became an understudy to Gary, and we continued to observe many celestial objects. On August 16th of that year, it was a Partial Lunar Eclipse that inspired us to start recording observations of celestial objects, and started the rise of the Vega Astronomical Observatory, later transcending into the Vega Sky Center in 1975. 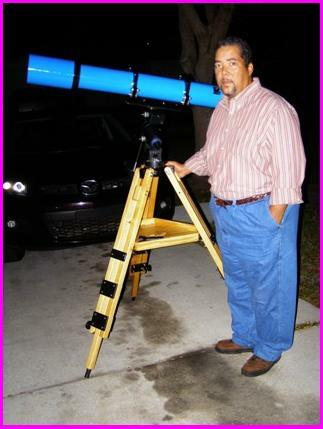 Gary Barabino runs the Vega Astronomical Observatory, as well as being the founder of the VSC. My location is called the Sirius Astronomical Observatory, here in Riverview FL. Our humble beginnings inspired us to help other budding (as well as seasoned) amateurs. With assistance from Gary, and our honorary members, we plan to cover many aspects of our astronomical experiences with the goal in mind to inspire and become a premiere resource to the astronomical community. We truly hope the information contained within these web pages will be of help to all of our visitors. Via the resources within, you will find photos and design diagrams of our telescope projects completed and under construction!... Links to some of the most sought-after and hard to find items, plus information from a myriad of suppliers, as well as various FREE Astronomy Software downloads!... 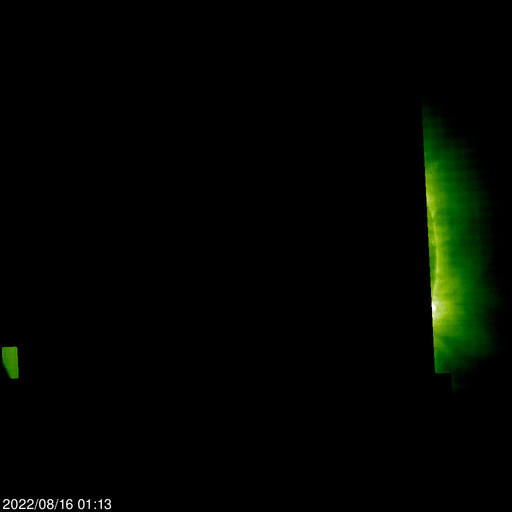 Real-time astronomical data, and video links!... Links to Star Atlas's and Monthly Sky Charts... and much, much more... with new additions constantly being added on a regular basis!... We even created and made available a downloadable Observation Data Sheet - one for us and one for you, our friends! Also, check out the latest news about Astronomical and Space headlines, courtesy of ASTROWIRE™. As the VSC's WebHub grows, additional sections and pages will be created to share projects, ideas, and knowledge to help amateurs in many aspects of ATM, observational, and photographic astronomy. We truly hope everyone enjoys this fascinating adventure as we embark on a new era of the VSC... So, please let us know you were here, or send your comments and/ or suggestions by emailing us at the email address below. Your input is always welcome and valuable to us. The VSC Visits "Stellafane 2014" near Springfield, VT - "An Ultimate Dream Come True"
The VSC Coulter 10" f/5.6 "Gary Barabino" Newtonian reflector sitting atop Breezy Hill ready to show off its stuff at the Stellafane 2014 telescope competition. Gary Barabino stands next to the 13" f/10 Schupmann telescope in the McGregor Observation at Stellafane. Mel Dawson leans against the unnamed Observatory Dome at Stellafane. The structure houses an impressive 10" Ritchey Chretien telescopic instrument. On July 20, 2014, the adventure began when Gary Barabino traveled by vehicle from Slidell, LA to meet me at my residence in Riverview, FL, departing the following day to head for the most prestigious amateur telescope making convention in the world, Stellafane (July 24, -- July 27, 2014). Ever since the early years of the Vega, going to and bring a telescope project to compete at Stellafane was the ultimate dream. Well, we finally made it! Upon I arrival and visit, we met and were greeted by some the most finest folks you would ever want to meet. My entry into the mechanical competition was my Coulter 10" f/5.6 "Gary Barabino" Newtonian reflector into the mechanical competition and won Honorable Mention! What an honor and a privilege! Well, Gary and I had a great time for our first time there and plan to attend again. In the meantime, please check out our experience by clicking on the "VSC at Stellafane" button below. "In Loving Memory of a Loving Wife, Mother and Best Friend"
CONSTRUCTION OVERVIEW IS NOW COMPLETE !!! 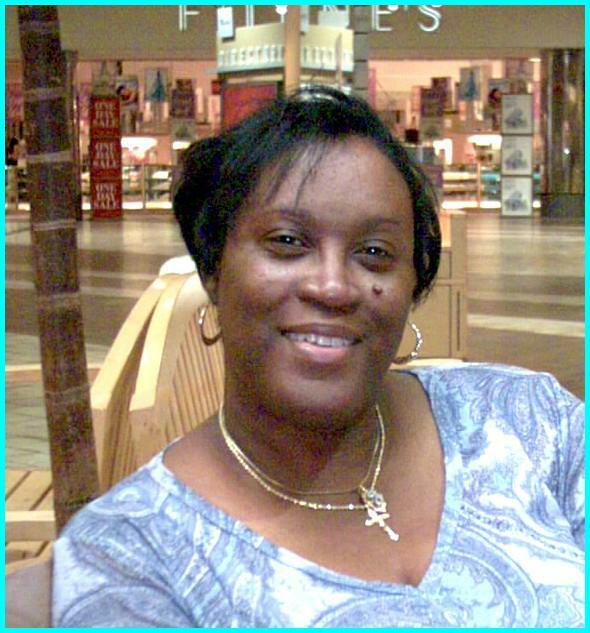 As many of you know, I lost my beloved wife Gelinda back on September 29th, 2010. Her untimely passing has truly devastated family, friends, and most of all me. I truly miss her dearly. In dedication to her support and understanding; let alone her unwavering love and devotion, I have constructed the VSC/ SAO Jaegers 6" f/10 "Gelinda J. Dawson" Refractor in her honor. I love and miss her so very much. It has been quite a while since I completed the construction of the VSC/ SAO Jaegers 6" f/10 "Gelinda J. Dawson" Refractor way back on June 9th, 2013. But, I had never put together and featured its build under my Mel's ATM Projects page, until now! As of this day, August 16, 2015, I am happy to announce that I have found the strength and encouragement to push through and finish the construction overview of this fine telescopic instrument. I hope that everyone will find the time to check out this build and let us know your thoughts. As with all of my projects, I hope it will kindle the interest of other amateurs to take on the rewards of building their own telescopic instruments. "Daily Solar Imaging of the Sun conducted at the VSC-2"
A small sequence sample of some of the solar images I captured with my Scopos 80mm f/6 APO and Olympus E-500 combination. 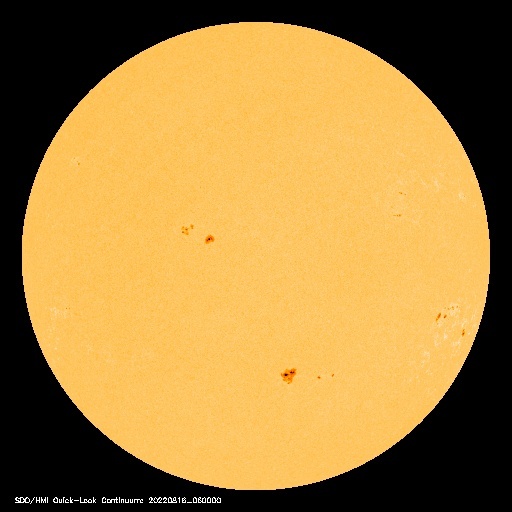 Daily observations of the sun at the VSC are being performed and being posted under the VSC Observations page. The observations are called Sequential Solar Observations "Series 1 and 2". They host a chronological collection of solar images as captured with a Scopos 80mm f/6 APO for Serie 1, and a StellarVue 80mm f/7 Nighthawk NG SV80ED refractor for Series 2 in conjunction with my Olympus Evolt E-500. It was my initial intent to do a short sequence (perhaps 10 sequential images) and then to post the observation, but my efforts have gone somewhat awry. I now have two collections consisting of hundreds of images (one per day) within the collection! I will continue getting more images with my StellarVue 80/560 SV80ED to add to the Series 2 sequential solar observation page. Series 1 using the Scopos 80/480 APO was completed on December 05, 2013 when I gave the instrument to Gary Barabino.. The VSC/ VAO Jaegers 4" f/8.6 Refractor Project by G. Barabino is Complete !!! The VSC/ SAO 127mm f/9.4 "Brigadier General Richard Pierce" Refractor is Complete !!! All pages are complete and currently available !!! Click the button below to go there NOW !!! The VSC/ SAO "BGRP" refractor was built using a SurpluShed 127mm f/9.4 achromatic objective. Please check out the modification report on how I improved the performance of this lens on the Vega News!!! web page. 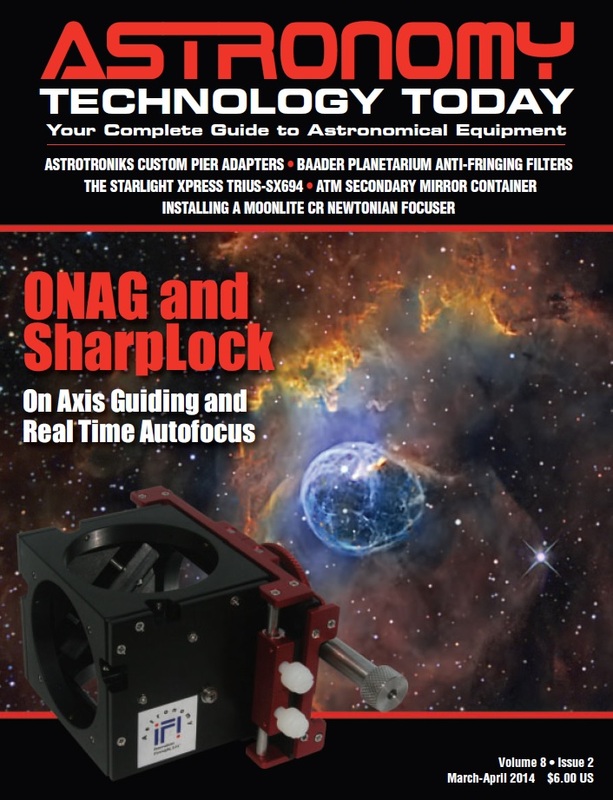 To show our appreciation to Gary Parkerson and the new astronomical magazine, "Astronomy Technology Today" for showcasing Mel Dawson's 10" f/5.6 Fork Mounted Newtonian reflector in the debut April, 2007, and his North Star Field Tripod prototype in the March/ April 2009 issues, we have created a special tribute page in their honor showcasing the covers of every issue from its beginning. Please click on the "ATT WebPages" button below to pay the ATT tribute page a visit. Projects Constructed by Mel Dawson featured in ATT Magazine !!! The Vega Sky Center had the great privilege of writing a couple of articles for Astronomy Technology Today magazine covering the build of two great projects. The first, an overview of the construction of my 10" f/5.6 Newtonian Fork Mounted Reflector and the second, an article on the building of the prototype North Star field tripod for Gary Barabino of the VSC/ VAO, predecessor to the North Star II field tripod used regularly at the VSC/ SAO. So, please click on the images above to read these articles featured in two separate issues of Astronomy Technology Today. By way of the Drop Down menus below, you will find a grand collection of websites to some of our favorite magazines, maps, monthly astronomical periodicals, FREE software downloads, audio/ video sites and many links to suppliers and manufacturers of astronomical equipment, etc. We hope amateurs, young and old will find these sites useful within their astronomical endeavors, We did! This list is certain to increase in size over time. So please check back periodically for new additions. Click the cool button above to visit a fantastic collection of astronomy based printouts and activities for Kids!!! One for Us in PDF Format! One for You in PDF Format! One for Us in editable MS Word Format! One for You in editable MS Word Format! To document those awesome celestial wonders observed through our telescopic instruments, the Vega Sky Center has created two well thought out observation recording forms we call the "Observer's Data Sheet". One with the VSC logo for our use, and one without for your personal use. In developing these forms, we carefully considered all the tidbits of information the average amateur would like to record during an average observing session. Each of the forms above is comprised of two pages, which can be printed to two separate sheets, or on a single sheet if you use the 2-sided option for your given printer. The front page contains all of the pertinent data - time, date, telescopic & photographic information, object information, etc. The second page is used for sketching your object of choice, or for a photograph. We hope that you will find the form helpful in recording those splendid telescopic observing sessions. Both Observer's Data Sheets are in PDF and MS WORD formats and can be downloaded by clicking on the images above. All you need is Adobe AcroReader, and/ or Microsoft Office applications to open it. "Download a copy today, so you can start a wealth of observing memories!!!" 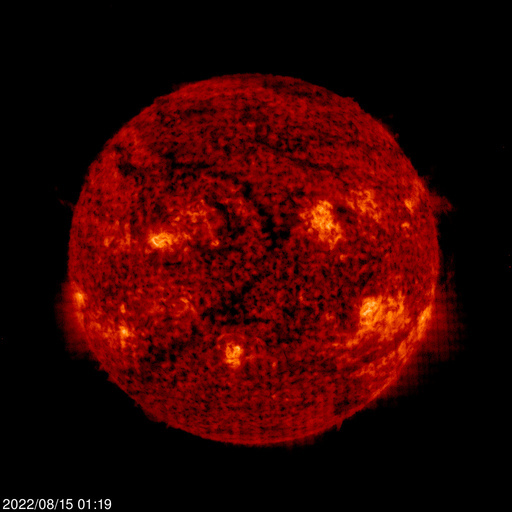 Click on any of the solar images above for an enlarged view! Vote for the VSC ! Thanks ! "God Bless, and Clear Skies, Forever ..."